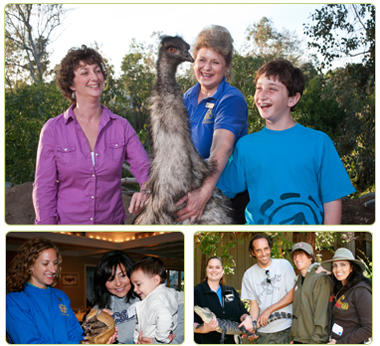 President’s Associates enjoy a close relationship with the Zoological Society and its president, and feel a deep sense of responsibility in protecting endangered wildlife and enhancing the quality of the San Diego Zoo and the Safari Park. They are in the company of like-minded friends who share their commitment to the animals. Special early hours at the Zoo — In recognition of your contribution and participation in the President's Associates Club, you're invited to enter the Zoo early from 8 to 9 a.m. the second Saturday of each month. *Each President’s Associates member receives a personalized membership card for unlimited admission to the San Diego Zoo and Safari Park along with two accompanying guests, per cardholder, per visit. Please note that the estimated fair market value of President's Associates benefits is $358.